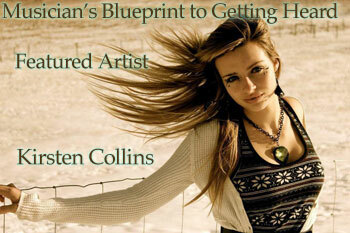 In our new Teenage Songs section, we get a chance to meet our new Blueprint to Getting Heard feature artists: A family of Canadian teenage singers and budding YouTube stars, 17 year old Kirsten Collins, Christian Collins, 15 and Crawford Collins, 14. Kirsten, Christian and Crawford Collins already understand the most important thing for "getting found and getting heard" is fan engagement (getting listeners and fans involved and interested.) And the most important things to get fans excited and involved are creating interactions and opportunities for fans that are creative (i.e. actually interesting), conspicuous (getting the word out everywhere) and meaningful. Kirsten Collins - "(I Don't Think You're) Ready"
Kirsten Collins is a 17 year old who likes to challenge herself, take adventures and enjoys embracing life. She loves performing, singing, songwriting, dancing, acting, fashion and hanging with friends. Kirsten was born and raised in Calgary, Alberta Canada. She was homeschooled along with her 3 younger siblings from grade 4-10 then online school in grade 11. She then graduated at Bearspaw Christian School in grade 12 in 2011 a year early. She is an aspiring pop artist who has been travelling back and forth between LA and Calgary for the past 3 years recording her music with Grammy producers. Kirsten had a role in the movie Rust (Corbin Bernsen) in 2010 and also her song "Could You Imagine" in the credits. Her dream is to touch the world through music with a positive message. "I desire to use my talents in music and the arts to inspire myself and others to walk in purity, respect and value. To embrace our inner and outer beauty and walk in confidence for our destinies. We are all irreplaceable, unique and continually growing. My hope is that we would be a LIGHT to the world." Christian is a 15 yr old young man who is an aspiring YouTube star and a singer. He is the 2nd child of 4. He was homeschooled over grades 2 - 7. He also enjoys playing squash and hanging out with friends. 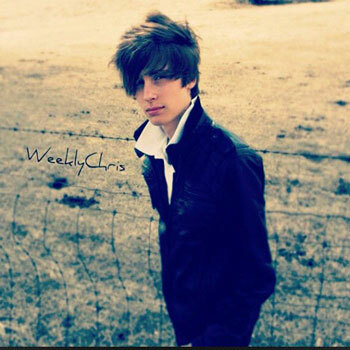 Christian started almost 2 years ago with his weeklychris channel on YouTube. Within the first few months he had thousands of subscribers. He now has over 30,000. Christian now has a few channels that he's using, with his main channel being weeklychris with weeklycuts also being very popular. He has a channel, brovlog, with his younger brother, Crawford and has started a TPN show (news for teens). Crawford Collins vlog post - "We're Back!" Crawford is an active 14 yr old sports guy. He loves to be get out and just GO! He enjoys snowboarding, skateboarding and longboarding. He loves to hang out with groups of friends and is always on the go. He enjoys teamwork. Crawford was homeschooled from grade 1-6. He is the 3rd child of 4. Crawford and his brother, Chris have a channel on youtube brovlog that is growing and has 10,000 subscribers. He enjoys making you laugh. 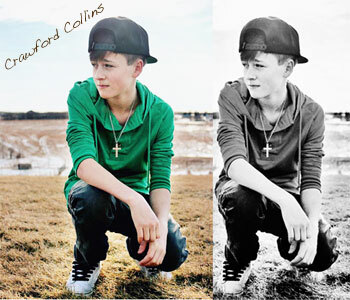 We believe that Crawford is still coming into knowing his talents. He is a singer, but has not yet stepped into that arena. You can hear him rap on their short video, "The Rap Battle". 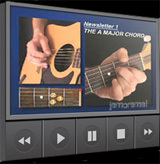 "The Easy Home Recording Blueprint is an indepensible, step by step, amazing reference worth 100 times its price. One shouldn't record without it. On behalf of myself and my recordings... Thank you Owen!" 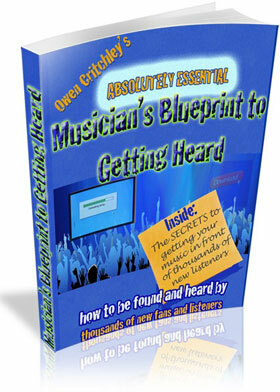 Just Look At What Recording Artist/Producer Owen Critchley's The Easy Home Recording Blueprint and it's free companion guide, The Musician's Blueprint to Getting Heard are Doing For Musicians and Songwriters... and What it Can Do For You. 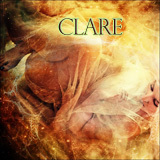 The haunting new video from CLARE for "Years of Tears" "Female Artists 2012"